Who can resist some cold homemade no-cook ice cream on a hot summer day? Homemade no-cook ice cream is super easy to whip up in any ice cream maker. This recipe is perfect for the hustle and bustle of summer. 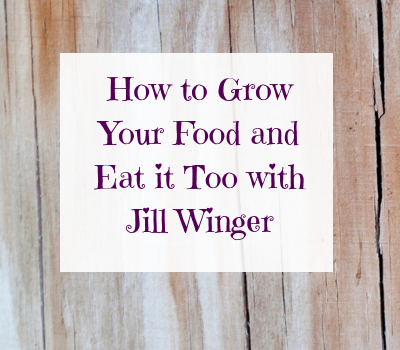 The no-cook option doesn’t include raw eggs so you don’t have to cook it prior to churning. All you do is mix, dump, churn, and enjoy! This recipe for homemade no-cook ice cream that my family loves. How to make ice cream at home using easy homemade ice cream recipes, like this one. My opinion of the “best ice cream toppings” – Believe me, the list is long. The best tools for making ice cream, starting with a good ice cream maker (0r without). A 6-quart wood slow-churn electric ice cream maker is used to make our homemade no-cook ice cream. Matt’s great aunt had the ice cream maker. We inherited it from her. She loved to make homemade ice cream. It’s nice to be able to use her ice cream maker while we reminisce of memories from her life with us. But keep in mind that since this recipe is eggless, you can easily make homemade ice cream in a bag or with a blender or in a can. Great memories are made while sitting around an ice cream churn. 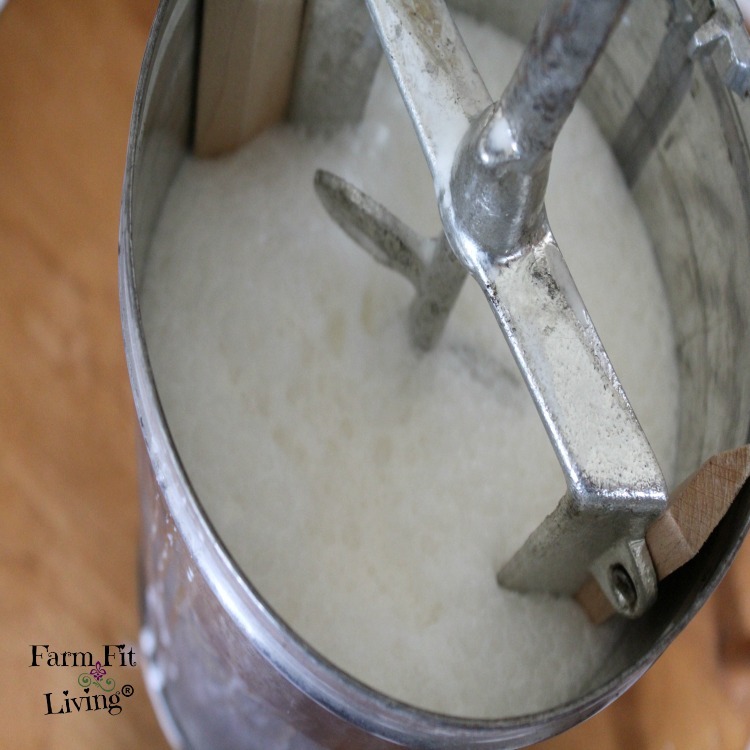 Whether it’s electrical or hand cranked, everyone remembers the delicious taste of homemade no-cook ice cream. Here’s how to make it. Ice Cream Maker – If you’re using a 6 Quart like me, you’re good to go. But if your ice cream maker is smaller, plan accordingly for the amount of ingredients you use. Ice Cream Ingredients, according to this recipe. Keep reading for optional flavor choices. First, stir all the ingredients together into a large bowl. Then, slowly pour the entire mixture into the ice cream maker canister. Close the lid on top tightly. Then, place the canister into the ice cream maker. Make sure it is firmly settled into the ice cream maker so you can get the crank or electric part on top correctly. Next, pack around the canister completely with ice and rock salt. First, a layer of ice. Then, top with a layer of rock salt and repeat until full. Finally, start churning the ice cream. When the churn stops moving, the ice cream is set! And it’s ready to eat. Keep in mind that the homemade no-cook ice cream MUST BE cold in order to set. If you walk away and the ice melts, you’ll have to start all over. So, it’s easy to do. I’ve done it. Thinking I could go do other things while the ice cream is churning. Not a good idea, friends. Because on extremely hot days, the ice will evaporate and melt too quickly. If more ice isn’t added, the ice cream will not be cold enough. It won’t set. So, it’s very important to watch the ice cream. But, we all know a watched pot never boils. Watched ice cream doesn’t set any quicker. Therefore, you need something to do while you wait. Read a book while you wait. Hoe the flower bed nearby. Just make sure you are right there to add the ice. If you feel you are going to be side tracked, set a timer to remind you to check. One tip: Tuck a large beach towel completely around the top of the ice cream maker to keep the ice from evaporating too quickly. The dry towel helps the ice cream to stay cold. Cold cream will set up quicker. 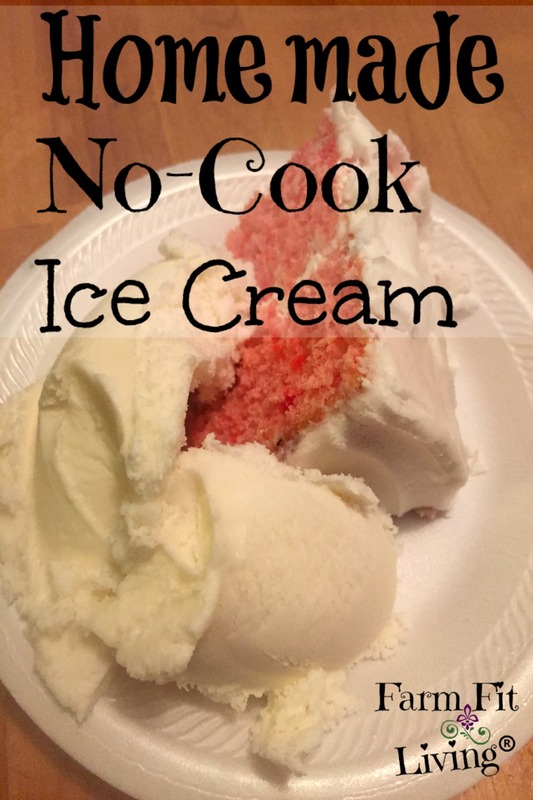 Enjoy your delicious homemade no-cook ice cream. After you eat the first scoop, just pop the left over ice cream into the freezer until you’re ready for more. What do you put on ice cream? Oh, the possibilities. There’s the standard chocolate, caramel and strawberry, but some people like to get really creative with their ice cream. Again, there’s a million more that you can add to this list. Depending on what you like. One thing I’d like to try is something like jalapeno for that spicy/sweet mix. Hmm…Maybe this summer. In conclusion, just make this no cook ice cream recipe your own. Anything is possible, so enjoy the delicious memories made for a lifetime with homemade no-cook ice cream. This sooo yum! I would definitely try this soon! That looks delicious! Wish I had an ice cream maker! Thanks, Jenny! Maybe someone has one you could borrow? So how well does it freeze? Some homemade ice cream recipes you have to thaw quite awhile (seems like forever!) before being able to eat the leftovers, but some are just a few minutes. Hey, Val! It freezes great! Still nice and creamy and easy to work with. I’ve never made homemade ice cream before. I should really try it this summer.